Ollie Sharp has been working with disadvantaged young people for most of his professional career. He has previously been the Headteacher of a PRU and a secure children’s home, as well having extensive experience in Special School improvement, and is currently leading the Ofsted Outstanding leadership team. He believes that high quality teamwork between academic, pastoral and therapeutic care is essential in meeting the varied needs of students. He is passionate that special schools should be specialist schools – where highly trained, skilled and knowledgeable staff work with the young people to give them the best start to their adult life. 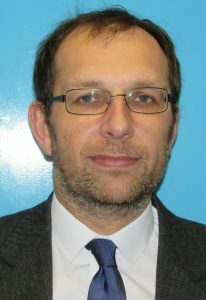 He has also worked as an associate tutor at The University of Leicester and delivered training to schools and PGCE students on behaviour management, as well as the neurological basis of behaviour and learning.